We started a family tradition several years ago that the kids, I’m sure, will never let fade away. That tradition is Kids Movie Night on Friday nights. The four oldest will choose a movie and maybe a few new episodes of their favorite shows to watch. They’ll all hunker down in their chosen seats on the couch and clamor for popcorn and candy. Each child gets their own bowl of popcorn and a small helping of candy, either tossed directly into their popcorn bowl or in a small bowl on the side. This occurs every single Friday night without fail. So the thought of mixing up their popcorn routine a little is very exciting for me and for them. That’s why when we had the opportunity to taste test the new line of Orville Redenbacher’s Flavors popcorn, I jumped at the chance. The line includes 3 flavors – Sea Salt & Vinegar, White Cheddar and Extra Cheese. The kids sampled all flavors of the popcorn one Friday night with a huge amount of excitement. After all, this meant they got to have THREE (small) bowls of popcorn instead of their usual 1 large bowl. All of the flavors went over really well with Sea Salt & Vinegar being selected as the favorite of our 12 year old and myself and the other kids and my husband being torn between the 2 cheese flavors. The best part of the flavor showcase line is that the toppings come in an indvidual pouch so each person was able to add as much or as little seasoning to their bowls as they wanted. 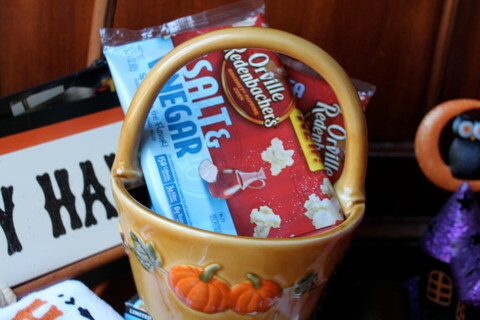 As part of my assignment from Orville Redenbacher, I was able to put together a Halloween-themed gift basket to be given to a friend or family member of my choosing. I knew right away who I wanted to give a special gift to and couldn’t wait to start putting the basket together. They go out of their way to talk to our kids and will stop whatever they are doing to say hi to them. They welcome help from the kids, even when that “help” isn’t so helpful. They are always willing to lend a helping hand, whether it’s helping us to man a garage sale or chop down a tree. Their garden was overflowing this summer while ours was floundering and they freely shared their excess with us. They come over for dinner whenever invited, even though a dinner with 5 kids is much louder and rowdier than the peace they are used to enjoying with their meals. Oh, and they love Halloween! 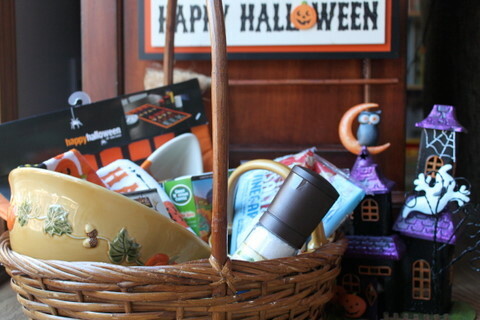 Being able to create a gift basket filled with Halloween goodies and some delicious Orville Redenbacher’s Sea Salt & Vinegar popcorn was such a treat! I choose some fun decorations for their home, since I know decorating for the holidays, both inside and outside, is one of their favorite things to do. I added a fall bowl perfect for enjoying some popped popcorn along with a coordinating basket-style dish to hold their bags of popcorn. 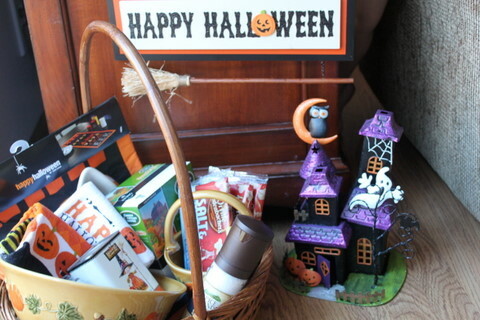 The basket was rounded off with some other small goodies, including Halloween dish towels, a Pumpkin scented candle, Pumpkin Spice coffee, hot chocolate, some extra sea salt and a fun candy corn candy dish. It’s the perfect gift for the perfect neighbors! But the fun doesn’t stop there. 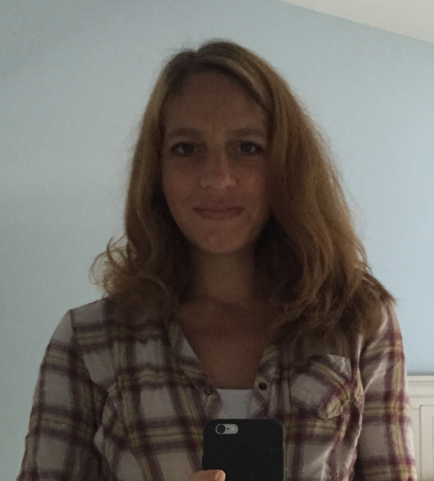 Now, I have a fun giveaway to share with all of you! One lucky winner will receive a Halloween-themed gift basket valued at $150 that is bound to be spook-tacular and 25 additional winners will win product samples of the new Orville Redenbacher’s Flavors. Please check out the Orville Redenbacher facebook page for all of the latest popcorn news. Do you think you’ll snack on Orville Redenbacher’s popcorn more now that it comes in new flavors? Which flavors are you most excited to try? I’ll randomly select the 26 winners on Friday, October 21 at 11pm EST. Good luck everyone! Disclosure: I am a participating blogger in the Orville Redenbacher Flavors Showcase. I have been compensated for the materials needed for my Halloween-themed gift basket as well as for my time spent writing. However, my opinions are entirely my own and I have not been paid to publish positive comments. I think I’d definitely try the White Cheddar and the Vinegar & Sea Salt varieties, but probably not the Extra Cheese one. I would love to win this gift basket. My favorite new flavor would probably be sea salt & vinegar. I’m intrigued by all of the new flavors! I usually make our popcorn at home, but I still haven’t mastered flavors like cheese, salt and vinegar, etc. I love snacking on popcorn! That extra cheese one sounds great. I already love the kettle corn and cheddar cheese flavors from Orville Redenbacher. Now that they have more flavors I will definitely be snacking on popcorn more. It’s my favorite snack! I really want to try the new salt and vinegar- that sounds amazing. I would like to try sea salt and vinegar. Thanks for a great giveaway!! the salt and vinegar is the one for me. I would definitely be interested in trying the new flavors. I’m sure my husband and daughter would eat more popcorn with the new flavors available. White cheddar sounds the best to me. the new flavors sound great and a flavor for everyone in the family. the sea salt and vinegar sounds so yummy I love that flavor in chips and now its on my go to snack popcorn! my girls love popcorn fingers crossed this would be perfect for our weekend nick/disney show nights. White Cheddar sounds delicious! I can’t wait to try it! I’d like to try Sea Salt and Vinegar! While my boys would love the cheese ones because like most kids they love cheese! I love popcorn, so I don’t know if I’ll do it MORE but I am super pumped to try the white cheddar. If I love the new flavors, I’m bound to buy it more I’m sure. I would LOVE to try the salt and vinegar. Sounds delicious!!!! I don’t know if I’d eat _more_ exactly, but I’d be more likely to pick their brand up! I love popcorn already!! I bet the white cheddar would cause me to eat it that much more!! I’d love to try these flavors! Yes! I’m excited to try the salt & vinegar! While I am a cheese lover, I would really like to tray the Sea Salt & Vinegar. Sounds interesting. We already eat a lot of popcorn, and Orville Redenbacher is our favorite. I would really like to try the sea salt and vinegar. At least one of us eats popcorn almost every day. I don’t know that we’d eat more…but we’d love to give it a shot. Sea Salt and Vinegar sounds really good! cheese popcorn isn’t my thing but the sea salt and vinegar sounds amazing! would love to try that! My guys will be so pumped about cheese! I on the other am looking forward to the Vinegar and Sea Salt! We love snacking on popcorn around here. I am looking forward to trying all three of them. YES! I’ll definitely eat it more with flavors! I ADORE White Cheddar popcorn! I can’t wait to try it! My kids love trying out new flavors! The salt and vinegar sounds interesting. Maybe not an all the time kind of flavor, but for something different. Probably will eat more popcorn! Would love to try all 3. I always love sprinkling grated parmesan cheese on my microwave popcorn – I think I’d try the white cheddar and extra cheese, from their new flavors. We eat popcorn constantly around here, but this would really be a treat. I really enioy popcorn, and kept it in my office for my afternoon snack. I’d like to tried the white cheddar flavor and extra cheese flavor. Not sure how I would like the salt and vinegar. We don’t eat very much popcorn usually, but I want to try out those new flavors, especially the salt and vinegar! We love popcorn….and flavored ones too. So, of course we’ll eat more popcorn. We snack on popcorn at least once a week. With Orville Redenbacher’s new flavors to tempt me, I will probably snack more. I think I would like to try the White Cheddar. I love popcorn, the hum-drum regular salt gets rather boring. I love the idea of everyone being able to sprinkle their chosen flavor on– how cool! I would definitely like the salt and vinegar! I love popcorn, but I often forget to have it for a snack. My oldest child LOVES popcorn and asks for it often. The White Cheddar sounds amazing! My son and I love popcorn. I am very curious about the Sea Salt & Vinegar flavor and the Extra Cheese flavor. I would definitely want to try all these flavors! I’m curious about the Sea Salt and Vinegar since those are my favorite chips! WHITE CHEDDAR…sorry for yelling…just got excited about the flavor and the chance of winning. I will def try the salt and vinegar!! Thanks for the chance to win! I’ll absolutely be trying the sea salt and vinegar! They also make a natural salt and lime popcorn which I thought “No way that will be good, but I have to try it.” and it was soooo tasty! Of course now I can’t find it where we live! The sea salt & vinegar flavor is calling my name! As anyone born in Iowa knows, all popcorn is good, and Orville’s is the best in the grocery store! I would definitely love to try these more often, they all sound great. Most of all, though, I’d like to try the white cheddar variety. I don’t know if it is possible to eat more Orville Redenbacher than I already do; however, I would love to try the new flavors! I’m not a salt and vinegar type of person so I am most excited to try either of the cheese flavors. I’m interested in trying the salt and vinegar! That sounds tasty! I think I would probably like one of the cheese flavors best, but would love to try all three. I’m intrigued by all of the new flavors! I’m in between the two cheese varieties. I’ve never been big on microwave popcorn, but now my interest is piqued and I’d love to try any of the new flavors. I would love to try the Salt & Vinegar and the White Cheddar. Yum! I am a popcorn freak. So are my kids. So I don’t think we could snack on it more but we would love to try the flavors. Salt and Vinegar makes my mouth water! My favorite thing to do with popcorn is to cook it on the stove top with a bit of olive oil and salt, but salt & vinegar and cheesey popcorns sound delicious! I’d love to try. Sunday night is popcorn night at our house and we eat ALOT 🙂 I have always bought the store brand as I really didn’t think there was much difference. We tried the Orville Redenbacher Lime and salt and spicy nacho and we’re hooked! We definately buy more Orville Redenbacher with the new flavors. They are staples in our house now. I scream, you scream, we all scream for ….. popcorn! i go through spells were i eat a lot of popcorn. i think the white cheddar will have me going through a popcorn phase again. especially since it is low in fat and calories. Movie night – is what we do on Friday’s too. The White Cheddar sounds like a good treat to me. I love popcorn and look forward to trying all the new flavors especially the sea salt and vineagar! It would have to be white cheddar for me! I think I might snack more on Orville Redenbacher popcorn with these new flavors. I’m a sucker for anything salt & vinegar, and my kids adore anything cheese. Bring it! We are popcorn addicts in my house also!! I am excited to try these new flavored. Yum!!! Can’t wait to try the salt and vinegar one! Yes, I know we will eat more with the new varieties! Our family has to each have a seperate bowl! Can’t wait to try them all, especially the white cheddar! Can’t wait to try the Salt and Vinegar. My family loves Orville Redenbacher! I would love to try the sea salt and vinegar popcorn. That sounds awesome! I usually make mine in a pan and add nutritional yeast which is kind of a cheese flavor but the kids get tired of it. 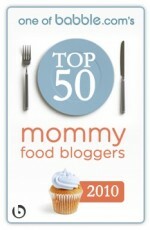 I would be #1 mom if I brought home some orville redenbacher cheese popcorn! I love the white cheddar, we love any flavored snacks, i.e. chips. This would just be a litte healthier option. My dh and children would love the sea salt and vinegar. I really want to try the salt and vinegar popcorn – that sounds yummy! yes – salt and vinegar! We’re big orville fans but extra cheese?That might be dangerous! Yum! My whole family loves popcorn, we like the white Cheddar. Great giveaway! We definitely will be eating more popcorn ~ White Cheddar sounds fantastic! I like the more traditional buttered popcorn, but my husband loves adding extra flavors so he will love this. I think I am most excited to try the white cheddar popcorn. When I was pregnant with my 3 month old all I ever wanted to eat for snack was salt and vinegar chips and popcorn, so I really want to try the sea salt and vinegar and pop corn. I love salt and vinegar chips, so I bet the popcorn would be a great lower fat treat! Yes, I’d love to try Sea Salt & Vinegar one. I think there would be an even split in my house – my son and husband like salt and vinegar flavorings, and my daughters love cheese. We’re big popcorn lovers in this family! We also do Friday Movie Night so, yes, popcorn is a necessity around here. I personally would love to try the sea salt and vinegar. I’m guessing the kids would fight over the cheesy flavors though. We love Orville Redenbacher popcorn and eat a lot of it. I look forward to trying the White Cheddar. I like the sound of being able to add as much, or little, flavoring as I want. I am excited to try the cheese flavors but not so much the salt and vinegar. We eat a lot of popcorn around here and a new flavor option would be great! Do I have to pick just one new flavor to try? Can’t I try all of them? Lol, I love flavored popcorn and my kids don’t. So, I don’t lose. We eat alot of popcorn for our evening treat while watching TV. I would be most excited to try the White Cheddar. However my husband would be rooting for the sea salt and vinegar. LOL Thanks for the awesome giveaway and Happy Halloween!!! My boys LOVE popcorn and eat it every few days! White Cheddar sounds delicious to me!!! What a great idea!!! Would love to try newly flavored popcorn. The salt and vinegar sounds interesting, I love those chips so Ill have to try the popcorn! I would love to try the new cheesy selections. I have a wonderful neighbor also. As soon as it snows, he is over there ready to get to work, cleans my gutters, etc. I am very lucky! I don’t know if I’ll snack more, but would love to try the new flavors! What a great gift for your neighbors; I am sure they appreciate your family as well! I think their new idea is awesome. I would try the cheesy variety! We love popcorn around here! My daughter and I are both excited to try the White Cheddar flavor! We are huge salt and vinegar fans. Can’t wait to try the new popcorn!!! Can’t wait to try Sea Salt & Vinegar. i do think i will buy orville more now that there are flavors that aren’t made by other brands. i’d love to try the white cheddar. Popcorn is one of our favorites, so new flavors propbably won’t change our consumption any. However, I’m excited to try the white cheddar flavor. Yummy! What a fun giveaway! My family loves popcorn! I bet it would be a toss up at our house between the cheese varieties and the salt and vinegar! Yum!!! I would definitely have to try the Sea Salt and Vinegar because that is my all time favorite flavor in potato chips! I love popcorn, and yes, I do think I will snack more on Orville Redenbacher’s popcorn with the new flavors. I’m most excited to try the White Cheddar flavor. MMmmmm!! I like the idea of white cheddar and would love to snack on something so easy more. I’m concerned with some of the other ingredients and would love to see if any of those have changed too…if I win, I’ll have the chance! I have always loved Orville’s popcorn and the new flavors just make them even better now. I like the idea of the white cheddar flavor. Thanks for the chance to enter. I will definitely be buying some of the new Orville Redenbacher popcorn! I’m torn between the White Cheddar and Extra Cheese flavors though… Maybe I’ll get one of each. I love salt and vinegar chips, so I would be interested in trying the new Sea Salt & Vinegar popcorn. I would probably have some caramel sitting by to munch on when salt/vinegar got to be too much. I love popcorn…and I would like to try the new flavors, especially the Sea Salt and Vinegar one. What a nice giveaway. Thanks so much for the chance to win! Cheese please! That flavor is one of my favorites, no matter what its in or on! I’d like to try the white cheddar. Thanks for the opportunity to try a new product. I think I will snack on Orville’s popcorn more…White Cheddar sounds delicious! I can’t wait to try the white cheddar. It sounds so yummy. My hubby and I eat popcorn pretty much every evening. Love Orville Redenbacher popcorn! The new flavors sound delicious. I can’t wait to try the Salt & Vinegar, Yum!! I have always loved popcorn so I don’t know if I could eat anymore than I already do, however I am really excited to try the sea salt and vinegar. Ohh my! I think the white cheddar sounds awesome! All of them sound good, but the White Cheddar gets my vote! I love anything cheesy! I am very interested in the salt and vinegar flavor–I really like it in chip form! Love popcorn….love cheese….yes I will try EXTRA CHEESE PLEASE! Most certainly I would try the white cheddar. But my husband loves salt and vinegar so would likely go for that flavor. I love cheese on popcorn, so either the white cheddar or the extra cheese will definitely be coming to our pantry! I love popcorn. Not sure about flavours…but might try the white cheddar. Popcorn is a huge snack around this house. My family will LOVE the cheese flavors but not me, not a cheese kinda gal. Might try the salt & vinegar one though. I love popcorn and eat a bag almost daily so I would love to try these new flavors. Especially the white cheedar. Mmm… white cheddar sounds so yummy! I can’t wait! And I’m sure my husband would love the sea salt and vinegar. That will definitely up his popcorn consumption! The new flavors sound interesting. My family usually air pops our popcorn, but I like the idea that you can add as much flavoring as you like. The white cheddar would be a permanent fixture in my house! My husband is the popcorn snacker. He has already tried the Sea Salt and Vinegar and really liked it. Popcorn is a fall / winter treat in our home. I forsee him eating a good bit more. I *love* salt and vinegar chips, so I’d like to try the popcorn . . . even though it sounds a little strange. If it’s as good as you say, I imagine we’ll be eating a lot of it! My family loves popcorn. We would love to try any new flavor. Me, personally, I would like to try the salt and vinegar flavor. I would love to give the new flavors a try. White Cheddar for me and I think my love would choose the Salt and Vinegar. I love popcorn (usually cooked on the stovetop) but the kids love all kinds so I am sure they would love any of the new flavors! I have to admit to being pretty excited about the new flavors. I can’t wait to try the White Cheddar variety. Yum! We love popcorn – all the new flavors sound delicious. Reading about your neighbor makes me miss the ones we used to live by we moved this summer and they were great just like yours we have yet to really get to know our new neighbors but I have a feeling we have a few good ones here too. thanks for the opportunity to win! I will look for this popcorn in the store and try it. I especially am interested in the seasalt and vinegar – never tried a flavor like that. Popcorn is a favorite snack of ours. I will definitely be trying out the new flavors. Popcorn is the preferred treat at our weekly Cub Scout den meetings. Orville’s Kettle Corn is the current favorite but I could see one of the cheese flavors being a big hit. I might snack more if it isn’t too expensive. I would definately like to try out these new flavors. Popcorn is a week-end treat for us. Having new flavors will definitely be a plus!! I can’t wait to try the salt & vinegar variety! I would definitely like to try this. I’m usually more of stovetop popcorn fan, but it’s always nice to have a few bags of the microwave stuff on hand for when that just seems like too much effort. The new flavors sound great. I expect I’ll be more a fan of the cheese ones (the white cheddar especially) than the salt & vinegar. I also see myself kinda skimping on the topping so I can save some of it to put on my own popcorn as well. It would be great if they would just sell the flavor powder individually, then I could have the best of both worlds. I love popcorn & can’t wait to try the white cheddar. My kids will definitely be wanting it too. I love salt & vinegar chips so I’m very curious to try that flavor in popcorn, but I think cheddar would be my favorite! We love our popcorn & movie nights here too, so I definitely think we’d be more apt to try Orville Redenbacher with their new flavor options. I love the idea of the flavors, and I’m anxious to try them. I’m especially pleased that I can add as much or as little of the flavor as I want — Extra Cheese for me! I don’t know if I’d eat more, but I’d love to try the White Cheddar! I am always a popcorn snacker but the new flavors would be a great change of pace. Sea salt and vinegar gets my vote! sea salt and vinegar would be delicious! and yes I probably would especially if it comes with coupons! I’m not usually a popcorn purchaser BUT am crazy about salt and vinegar! That will definitely be something I’ll try, and the cheese sounds great, too. I’ll take it as the auntie’s contribution to our next Friday Movie Night!